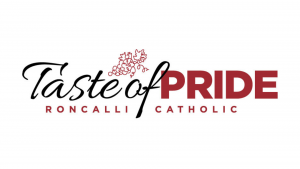 Roncalli Catholic is excited to continue our new tradition; a wine tasting fundraiser, Taste of Pride on Friday, November 22. The night will feature a tasting of various red and white wines with the help of a wine expert, and there will also be hors d’oeuvres and raffle prizes. Wines from the tasting will be available for purchase at the event. After you have registered for Taste of Pride, click the secure payment link below to enter your financial information. You can also pay by mail, or pay at the event!